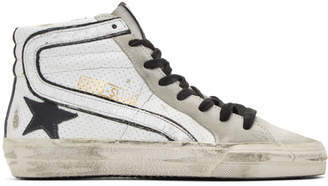 Golden Goose leather sneaker with grommet trim. 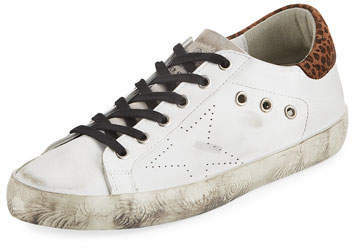 1" distressed platform. Round toe. Lace-up vamp. 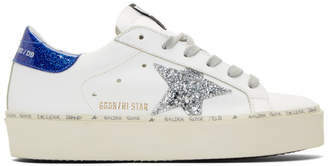 Signature perforated star at side. Logo at suede tongue. Leopard-print detail at counter. 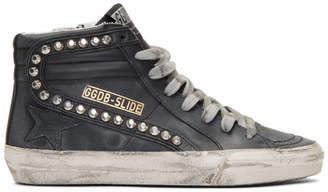 "Superstar" is made in Italy.